Link building is perhaps the most challenging part of SEO. With Google&apos;s growing concern for the quality of a site&apos;s link profile, researching link opportunities can get incredibly hard and time-consuming. In this article, I'll home in on how we initially determine if a site will make a good linking partner. To me, the ultimate sign of something wrong with a web page is the lack of its appearance in Google. If the web page you’re looking for doesn’t show up in Google? Not a good sign, and I’d probably avoid the site overall. If you're using any other search engine, following links or coming to a site from a social network, it is critical you go back to Google and check for the web page. If it's not indexed, there's no need to go any further. I don't need to see where a blogger lives, of course, but if there's no way to contact the webmaster on the site? I wouldn't consider them as a link partner. They obviously don't want to be contacted. Even having just a form on the site raises a flag for me. Look for an email address, telephone number and social media accounts that show the site has an active webmaster behind it. You don't have to be a brilliant writer, but it's not good to find terribly written content on a site. If you want your link to get clicked on, the writing has to be good and engaging, or it's never going to happen. You want to see it steady or increasing. You want the majority of the traffic to come from the site's geographic target area. You do not want to see big traffic crashes or traffic coming from known link farms and communities. I always do a site search for various terms like Viagra and Cialis (the two most popular ones I've seen.) For example, the Pharma hack injects pharmacy-related terms into a site's code, and the damage may not always be visible on the site itself, although it will appear in the search results. Unless you are building links for a site in one of those industries, I'd say avoid these types of sites unless it really and truly makes sense to get a link from them. There are cases where this might not happen and everything is fine, but generally speaking, you want the site to rank for its brand name and (at least) somewhere in the top five. If it's a very unique name, and you don't see it on page one, something is definitely wrong. This is a huge issue for visually impaired users, and it can also be a red flag. Why make the link look like regular text and not a link? When this happens, it’s usually to hide the fact that they're selling links. I always check through my emails and our Do Not Contact database to make sure they haven't been pursuing us. The "guest " bit can be a little misleading, as a lot of guest posts are actually paid posts. Just as you don't want to put your link on a site with tons of paid links, I wouldn't want to put a link on a site with tons of guest posts. I'm not saying they have to have a billion Instagram followers, but more engagement usually leads to more clicks on your links. Conversely, look to see if the site is interacting on the social networks. This is a sign the site is being promoted and wants to increase its traffic and prominence in an industry. 15. Last thing... does it look like your link would be a natural fit for the content AND get clicked on? Link building is perhaps the most challenging part of SEO. With Google&apos;s growing concern for the quality of a site&apos;s link profile, researching link opportunities can get incredibly hard and time-consuming. But as backlinks remain the strongest ranking signal to search engines, link building, when done right, will bring you better results than any other SEO effort. Follow the steps below for best working ways to find link prospects and get them to link to your site. Review the commonly used link prospecting methods below, and choose the ones that suite your niche best. Click on any option for a detailed description. Review the commonly used techniques. Take a look at the link prospecting options below, and choose the ones that suite your niche best (click on any option for a detailed description). Don't worry if you don't find the technique you'd like to use-you'll be able to create your own, using the Custom Search method. There are no contact details. Most probably, there are hundreds of posts online written about things related to your business. Quite often, a review of your product, company, or service is a win-win. The blogger gets an idea for a new post that might be useful to the blog readers, and you get quality links (as well as exposure and additional traffic). Besides, other bloggers will see the review, and some of them may want to write about your business, too. Once you've found bloggers that are willing to write about you, make sure you collaborate with them: send in a clear explanation of what you do and how you do it, help with visuals and design (logo, pictures, etc. ), and provide product samples if needed. Bloggers often publish comparison reviews. A comparison that you feel could include your product or service can be a good spot for a link. You can also look for outdated reviews of products or services that are similar to yours. These can be great places for backlinks: the page's author may be willing to update the copy with a description of your product and a link to your site. Commenting- Industry blog posts and news articles can often offer opportunities to raise brand awareness by jumping in to the comments to share your content or information about your products/services. However, make sure you are careful enough not to look spammy; remember that your comments should look natural and bring some value to the table rather than shamelessly advertise your brand. Giveaways- Giveaways can be great for brand exposure and link building. Almost in any industry, there are popular blogs and resources that run competitions and giveaways to boost user engagement and get some extra traffic. Offering your product or service in a giveaway is a win-win-the platform organizing the giveaway gets something to offer, and you get brand exposure and links from a reputable source. 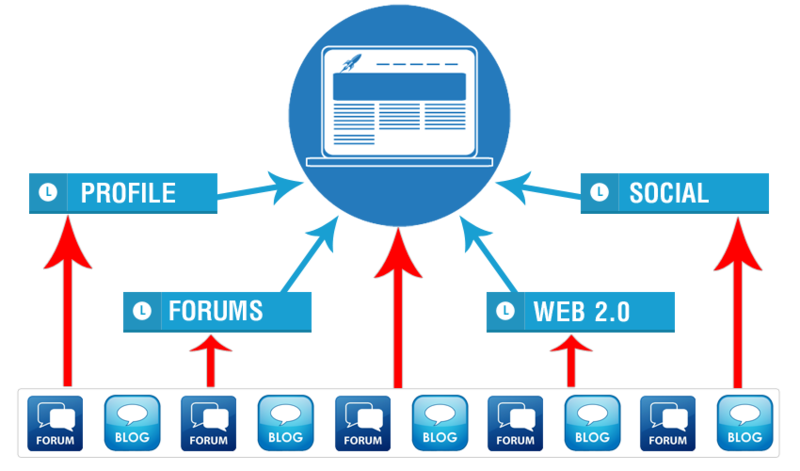 Forums- Topical forums can be great spots for links and raising brand awareness. Like with commenting, it's important to keep your posts on forums natural looking and bring value to the table instead of purely promoting your product and stuffing your posts with links. Links Pages- A lot of sites have useful resources pages. If you choose this technique, make sure to avoid link directories created purely for link exchange. You can easily spot such pages: typically, they're full of all kinds of links that are not related to a single topic, and can often include hundreds of links. Look for non-spammy links pages that only include resources on a certain topic. Links Submission Forms- If you wish to harness the potential of link development networks, you can use this method to find relevant link exchange partners that use link submission forms, and fill in these forms for you automatically. With this feature you can get lots of link exchange partners very fast. Directories- This method is more applicable to brick-and-mortar businesses - make sure you don't miss out on this opportunity if you are one. Find local business directories, chamber of commerce listings, and business association websites: these are good places to have links from. As a tangible bonus, these links will bring you some extra traffic, too! Topical blogs- One of the most effective strategies is finding industry blogs that cover topics related to your business, and reaching out to them asking to feature your product or service in their posts. You can either find some of their existing posts where you believe a mention of your product could be included, or suggest mentioning it in a future post. Mind that such opportunities can be paid or imply that you offer something in return to the blogger, just like with giveaways. This method also lets build relationships with authors that can grow into lasting partnerships. Competitor backlinks- Uncovering the link profiles of your top ranking competitors is perhaps one of the most effective link building tactics. Looking at a successful competitor's links lets you easily spot hundreds of potential link opportunities of all kinds-reviews, blog posts, forum threads, and what not. 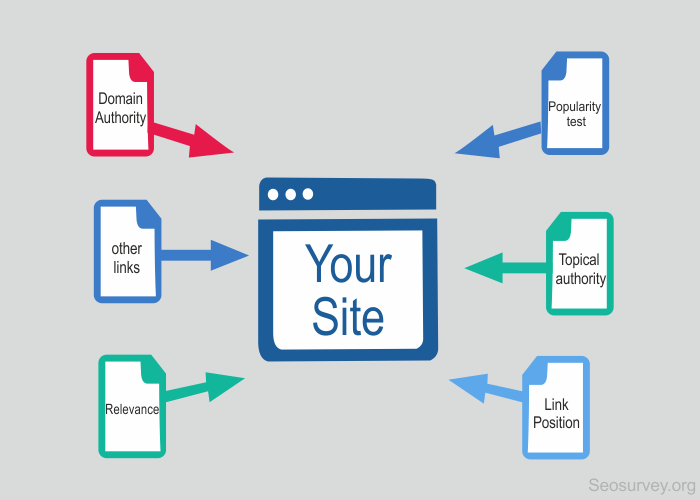 Your Backlinks- Find backlinks that already point to your site and analyze their value. Now that you know which research methods you'd like to use for your link prospecting, it's time to get down to the actual search. 1. Run the search in LinkAsssistant. Create a project for your site in SEO PowerSuite's LinkAssistant and hit . Select a method you'd like to use and click Next. At Step 2, enter your keywords and select the search engine you'd like to search for link prospects in. For keywords, use industry-related terms-both generic and long-tail - and even your competitors' brand names. If you feel you could use some keyword ideas from Google AdWords' Keyword Planner, click Get keyword suggestions. Right below, select a search engine you'd like to look for prospects in, and hit Next. Hang on while LinkAssistant is looking for link prospects and collecting their contact email addresses. Once the search is complete, select the prospects to add to your project (you can keep all selected for now) and click Finish. 2. Check the value of potential links. To see how reputable your prospects are, switch to the Prospect quality tab, select all records in your workspace, click , and choose factors you'd like to update to determine the quality of the potential link (like InLink Rank, Page/Domain Authority, Alexa rank, Domain age, or all kinds of social signals) and click OK. Examine the stats and pick the top prospects. Delete the ones that you decided against by right-clicking them and hitting Remove link partners. Now that you have a list of pages you&apos;d like to get links from, it&apos;s time to contact the potential partners you found. Follow the steps below to learn how to automate the process and maximize the efficiency of your outreach. 1. Customize email templates. In Preferences -> Email Management -> Edit Mail Templates, you&apos;ll find a bunch of ready-made templates that you can customize. Pick a template that suits your niche and the nature of your request (eg. Guest Posting Inquiry), and hit to add some details about your website and business to make the email more personal and engaging. You can also create your own templates from scratch — just hit to do that. 2. Email potential partners. Select the partners you&apos;d like to contact (make sure you select partners that belong to the same partner group). Click , pick the email template you&apos;ll send out to this group, and hit the OK button. Keep an eye on the links you&apos;ve built as your link profile keeps growing. Remember to regularly check that your links are in place, have the right anchor text, and don&apos;t get under a Nofollow tag. Verify links. To check on the links you&apos;ve built, select them in your LinkAssistant project and hit. Select Scan only current page and click OK.
Once the verification is complete, right-click the header of any column in your LinkAssistant workspace, select Verification Passed from the list of available columns and hit OK. In the Verification Passed column, examine the verification status of each of your partners. Look out for links that come back with a No status (these links are no longer found on the backlink page), get under a Nofollow tag, or have wrong anchors. When necessary, contact your link partners right from LinkAssistant (by selecting the partner in your workspace and hitting ) and shoot them a message explaining your problem or request. Remember to regularly check your inbox in LinkAssistant&apos;s Email module, and try to promptly respond to partners&apos; emails. Congrats — you&apos;ve set your link building campaign in motion! 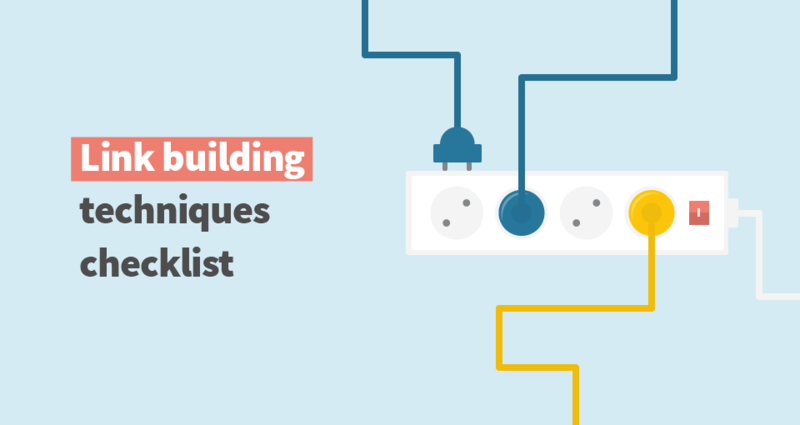 This is the last step in our SEO Workflow series, so if you followed the instructions from the previous guides, you should be starting to see your rankings grow very soon. Do not forget that that all the work you&apos;ve done requires maintenance though: remember to track your rankings in Rank Tracker, regularly check your site against all kinds of issues in WebSite Auditor, monitor your link profile&apos;s growth in SEO SpyGlass, and verify individual links in LinkAssistant.